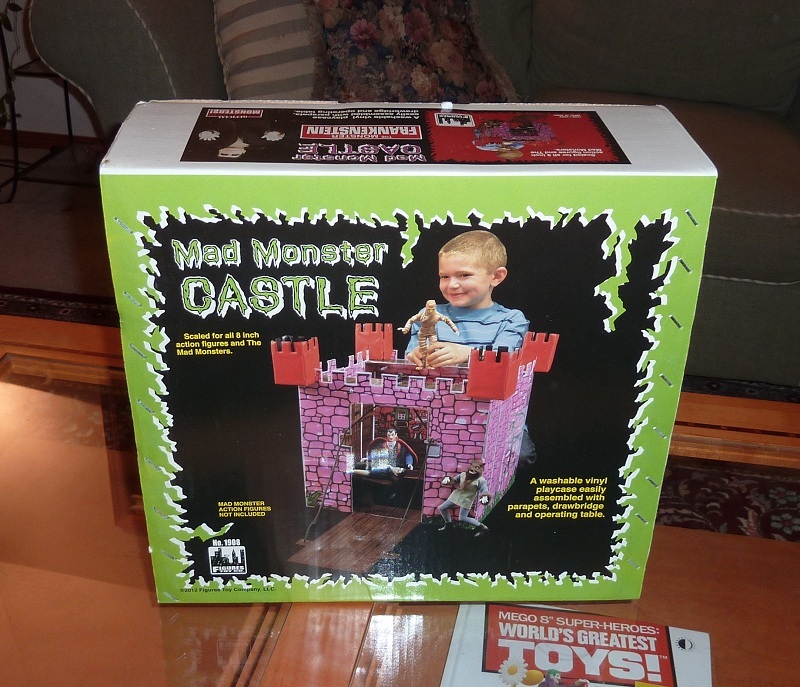 I just received the newly released Mad Monster Castle from Classic TV Toys. 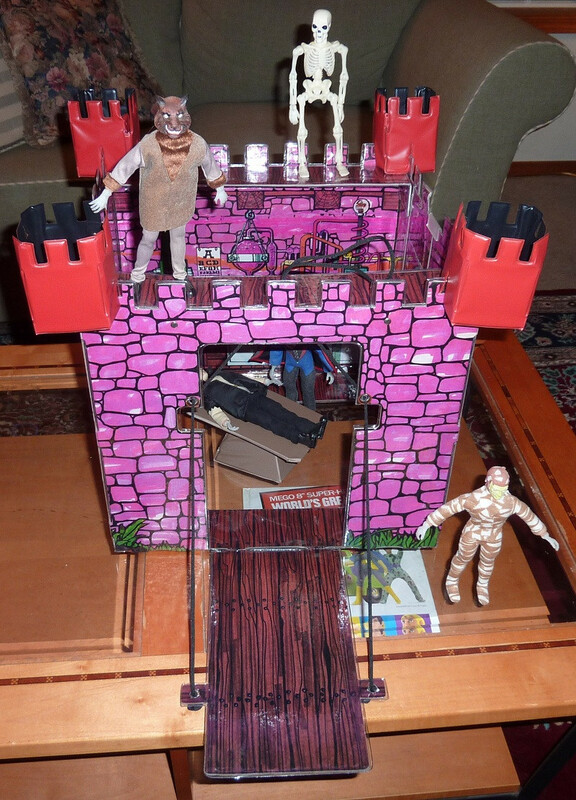 This is a very faithful reproduction of the original Mego playset. I never owned the original, so my comparisons are from the photos from the Mego Museum. 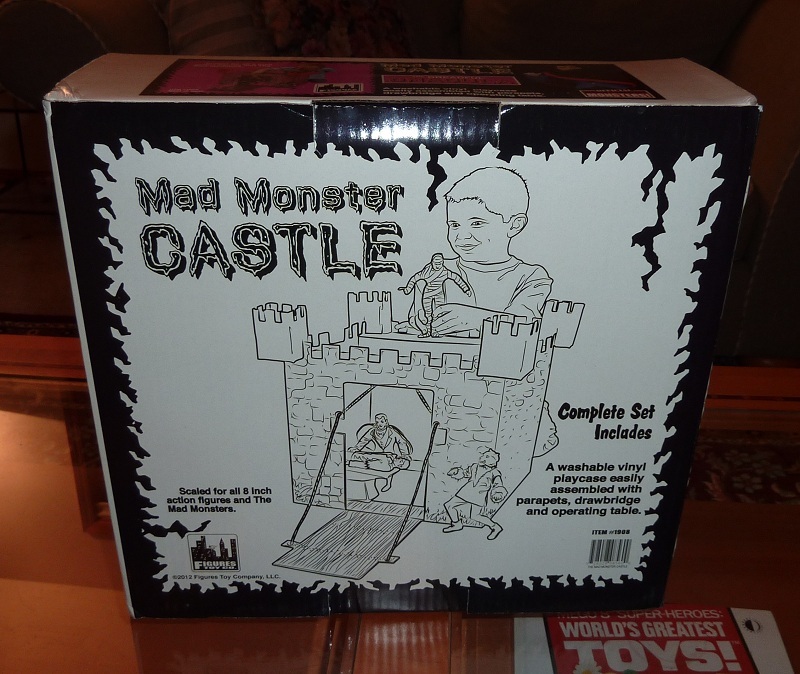 The box looks similar to the original with the photo on the front and a line drawing on the back, although the child on it is definitely not from the 70s. The line drawing is of the same photo. 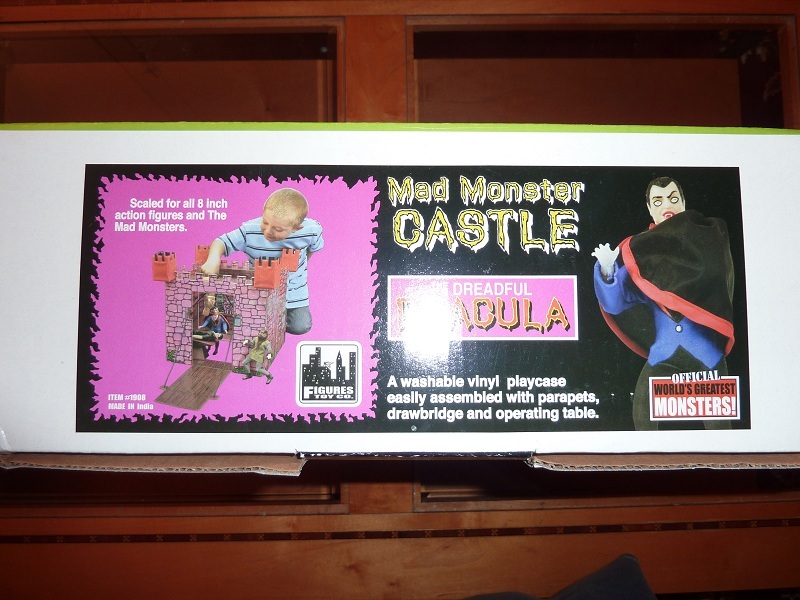 The 4 small sides of the box include pictures and text for the four Mad Monsters, which is a nice touch to tie it to their other products. The playset folds up nicely in the box. This helps it take up much less room. 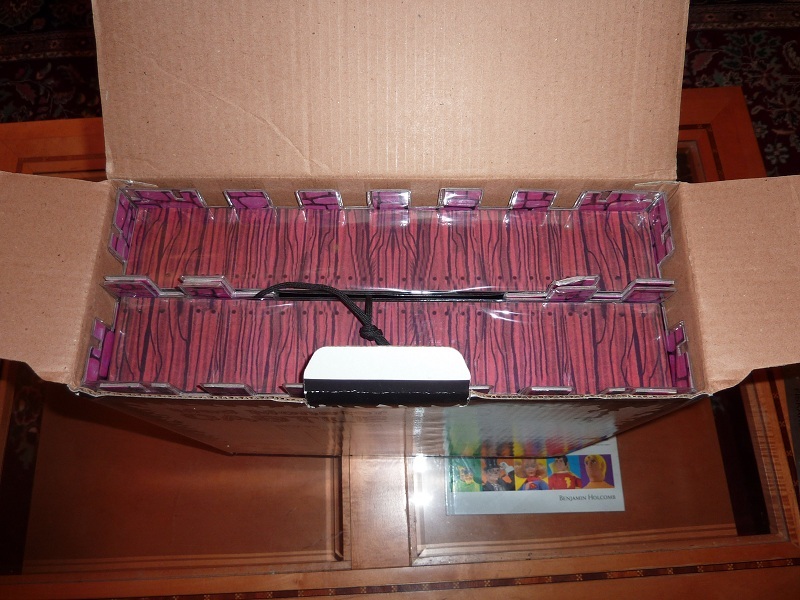 Inside the box is a glossy instruction sheet and explains how to put it together. The steps are pretty easy and the instructions are clear to follow. The parapets went together pretty easy. I was a little concerned about folding up the operating table, as its unclear where the fold line are under the vinyl. However, once you start folding it, it is straightforward. 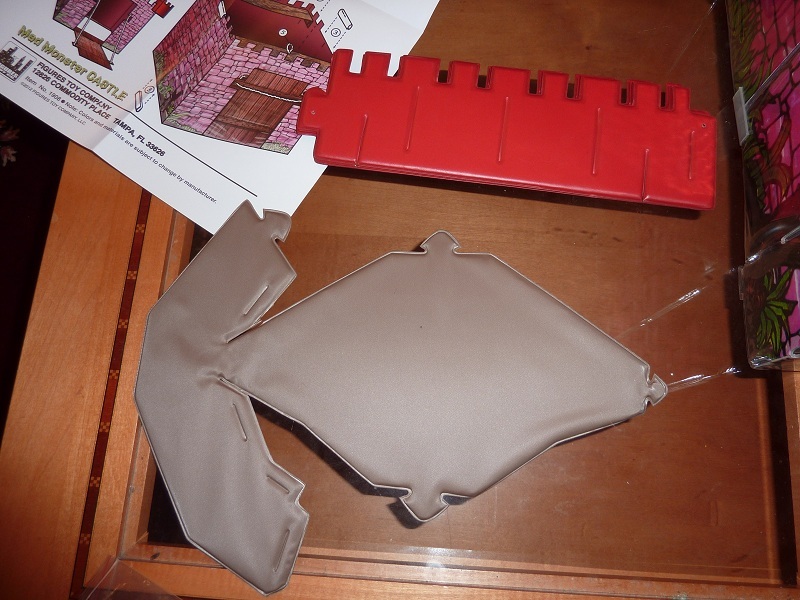 The set includes clear plastic clips that keep the folded walls straight which is a nice touch. The vinyl on the set is a bit looser and has more air bubbles in it than I like. 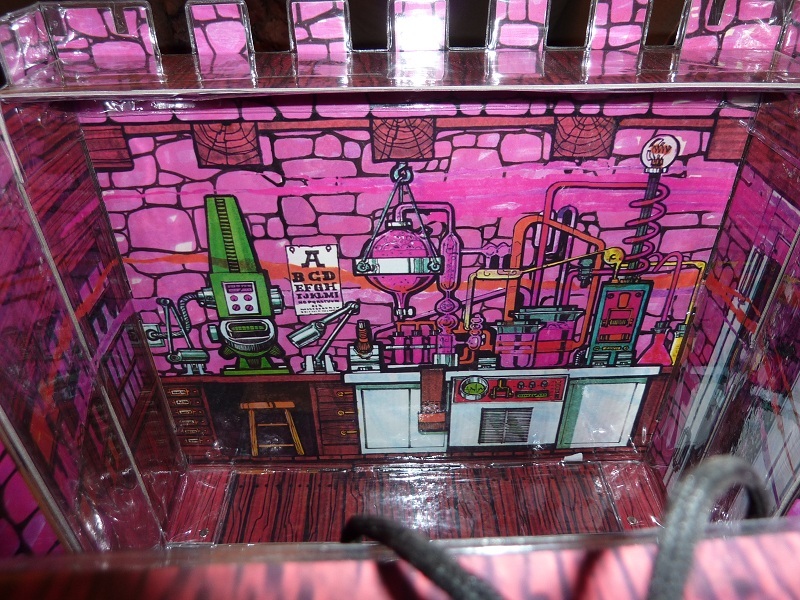 I'm probably spoiled by the excellent quality of Dida Display playsets. 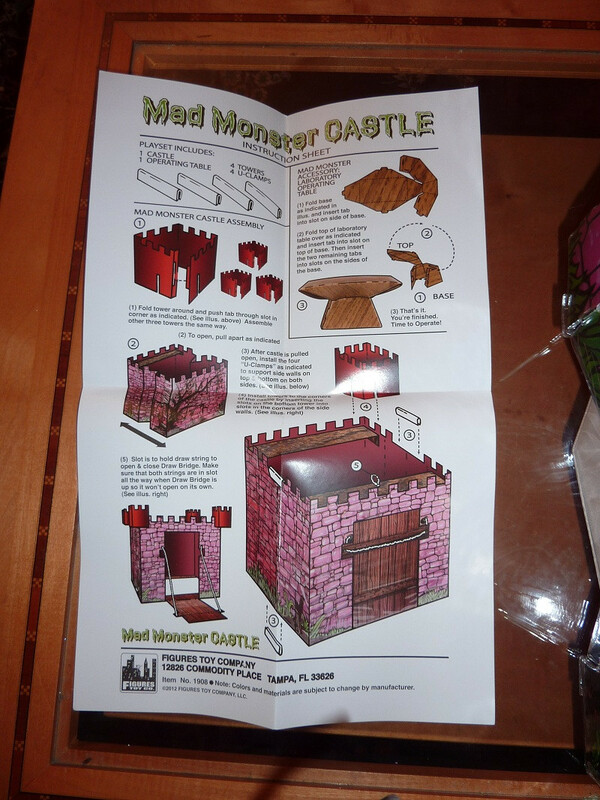 However, the Mad Monster Castle feels well constructed and displays well. The drawbridge feature works great. Its easy to pull the attached string to raise and lower the bridge. The string appears to be a bit thicker than the original and feels solid. I found the operation table to be a bit lacking. It should have the wood-grain pattern shown on both the box and the original. I would suggest updating it with a Laser Mego operation table! The inside graphics are great and very colorful. They appear to be identical to the original Mego drawings. It would have been nice if the castle had a floor, but I'm assuming the original didn't either. Overall I'm very impressed with the quality and price of the playset. CTVT didn't announce the it ahead of time, so it was available to purchase as soon as it was announced. 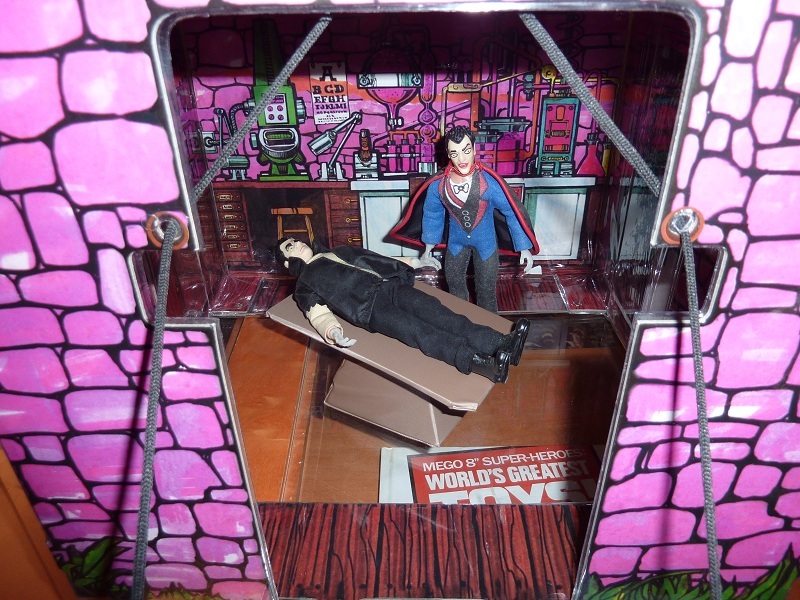 I never thought CTVT would get into reproducing Mego playsets, but this initial offering is great for those of us who could never afford to own the original.